Are you looking to read some professional books during your summer vacation, in between all the fun and relaxing things you will do because you're not facing a classroom full of children five days a week for the next several weeks? 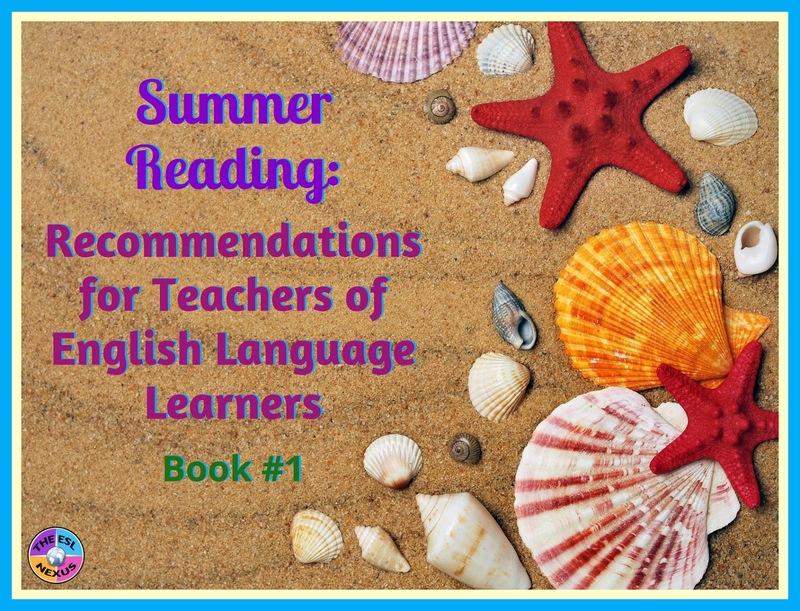 If so, here is the first in a series of book recommendations about teaching English Language Learners. I wrote a series of book reviews last summer and decided to continue the series this year. Today is the first book recommendation and over the coming weeks, I'll be reviewing several more books that I think you will find useful. This 165-page book has a good balance of theoretical information, examples from the classroom, and suggested activities for teachers who have English Language Learners in their classes. Chapters 1, 2, and 7 discuss the reasons for incorporating language learning into content subject teaching and the middle chapters focus on how to do that for the language domains of speaking, writing, reading, and listening. A forward by Jim Cummins, a list with short descriptions of the 49 activities recommended for scaffolding student learning, and an index round out this book. 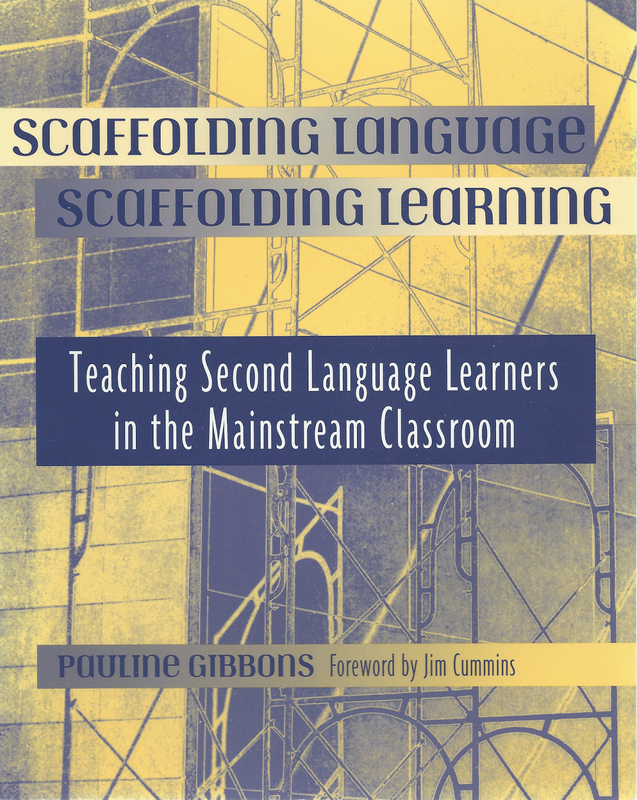 Chapter 1, Scaffolding Language and Learning, provides the rationale for scaffolding language learning – because language is learned in context. Chapter 2, Classroom Talk: Creating Contexts for Language Learning, discusses the importance of group and pair work and how to effectively implement group and pair work. Also, nine types of group and pair work are described, of which four are aimed at beginners, which is very helpful for teachers who have ELLs at low proficiency levels in their classes. Chapters 3, 4, 5, and 6 all start with some background theoretical information about the particular language domain being discussed, then move into more practical aspects of teaching speaking, writing, reading, and listening. Through a scenario presented in Chapter 3, From Speaking to Writing in the Content Classroom, readers see how a teacher can scaffold a science lesson, although the ideas can be applied to other subjects, too. Chapter 4, Writing in a Second Language Across the Curriculum: An Integrated Approach, follows a similar format. After some theoretical info is presented in Chapter 5, Reading in a Second Language, numerous activities for "Planning for Reading," "Before-Reading Activities," "During-Reading Activities," and "After-Reading Activities" are suggested. The format of Chapter 6, Listening: And Active and Thinking Process, conforms to that of Chapter 5, with subsections on "Introducing How to Listen," which is further broken down into sections on "Two-Way Listening" and "One-Way Listening;" sections on "Listening for Specific Information," "Listening for General Information," and "The Sounds of English" are also included. Chapter 7 is titled Learning Language, Learning Through language, and Learning about Language: Developing and Integrated Curriculum. It gives teachers a framework for figuring out how to integrate language learning into their lessons and reiterates why it is important to do so. There are several charts in this chapter with helpful information. Chapter 7 also devotes some time to explaining how phonics, spelling, and grammar fit into this approach to language teaching. Although Scaffolding Language Scaffolding Learning: Teaching Second Language Learners in the Mainstream Classroom was published in 2002, and therefore before the advent of the ELA Common Core, it does reference standards-based learning in the Foreword. The activities presented in the book are still valid and useful today. If you are not quite sure how you can implement language teaching into math, science, social studies, and other content subjects, this book is sure to give you lots of ideas.